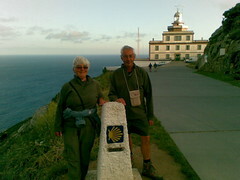 Lighthouse at Cabo Finisterre. Km 0. A french couple posing for the shot.